Noarderljocht (Northern Light) presents a selecion of my latest photographs. Although my trusty Nikon F3 has been a travel mate for many many years, the photographs on this site are all product of the digital era. Inevitably the mighty 'F' has become a 'D'. The Nikons are never far away and are always within reach on journeys through Scotland and New Zealand. These two exceptional countries, together with my own Fryslân, are a true photographer's paradise. 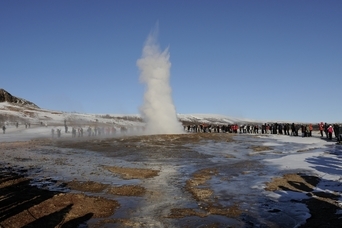 Noarderljocht features subjects, ranging from historic aeroplanes to vulcanoes. The latest photo reports are from The Shuttleworth Collection at Old Warden and the Farne Islands. 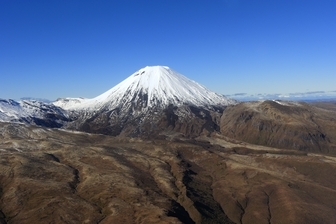 Latest New Zealand photos, include Whakaari (The White Island) and the snow covered volcanoes of the Tongariro. Photographs from the other side of the Tasman: Sydney's Fish Market. Continuing on the 'polar theme': The Spitsbergen (Svalbard) expedition in August 2017. For the summer of 2018 it was back in Scotland: Kintyre, Mull, Iona and Staffa. Have a look at the amazing glass art of Dale Chihuly, in the Groningen Museum. Tim Hetherington was born in Liverpool, UK, and took up photojournalism after studying literature at Oxford University. Awards for his photojournalism include a Hasselblad Foundation Award (2002), World Press Photo of the Year 2007 (for a photograph featured in the Infidel), the Rory Peck Award for TV Features (2008), and an Alfred I duPont Award (2009). Five years spent living in Liberia resulted in the book and HOST Gallery exhibition Long Story Bit By Bit: Liberia Retold (2009). Restrepo, a film about US soldiers in the Korengal Valley was directed by Hetherington and Junger and won the Grand Jury Prize for Best Documentary at the 2010 Sundance Film Festival. Tim and his American collegue Chris Hondros were tragically killed in Masirah, Libya, on 20th April 2011. All photos on this site are protected by international copyright laws. Copyright: Rinze de Vries © 2010, except where explicitly stated on the links page.